Every app you use on your iPhone or iPad sports a base file size, but you may notice that their storage footprint increases with time as you use them; this is because they build a cache file, an accumulation of data that gets used by the app to help it load more quickly. If you find it challenging to live within your handset’s soldered storage constraints, then clearing your apps’ caches could help you cope. 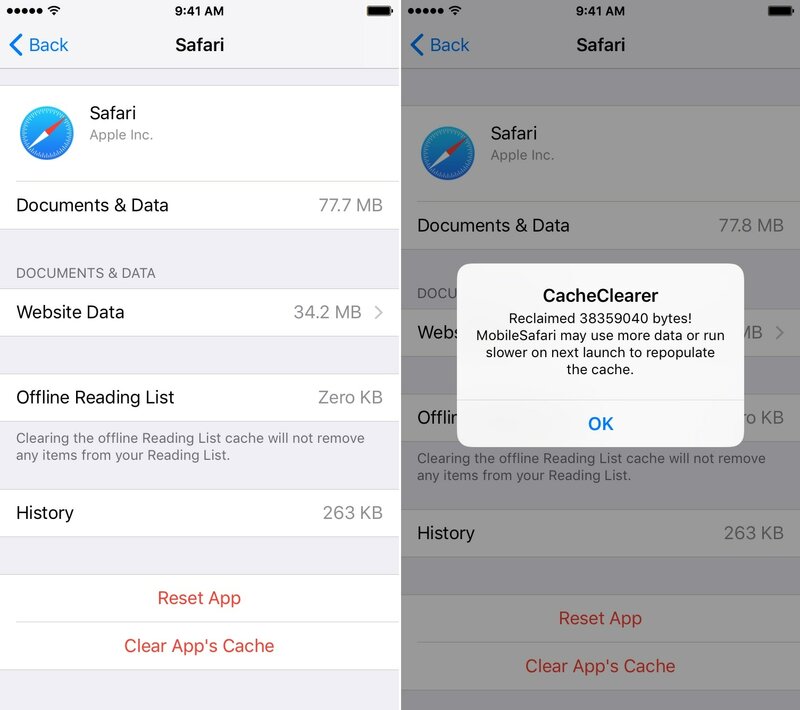 Fortunately, a free jailbreak tweak called CacheClearer (iOS 11) by iOS developers Julio Verne and Ryan Petrich lets you clear those caches on demand. The name should sound familiar, and that’s because Petrich originally released CacheClearer back in 2015. Verne has fundamentally breathed new life into the tweak by optimizing it for jailbroken installations of iOS 11. Just like the original, CacheClearer (iOS 11) lets you manage an app’s storage footprint on your device by going to Settings → General → iPhone Storage. From here, you can tap on a storage-hungry app and clear its cache via the “Clear App’s Cache” button to free up some storage space. 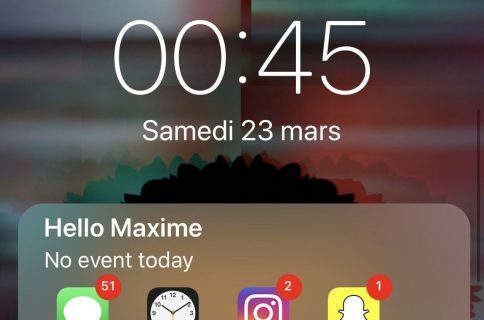 After tapping the button, the tweak displays a pop-up that elucidates how much storage space you’ve reclaimed from clearing the app’s cache. Furthermore, that app may load more slowly the next time as it re-builds the cache file, but it will speed back up over time. You’ll also notice a “Reset App” button in the list of options, which just as the title suggests, resets the app to its factory defaults in a manner consistent with deleting the said app and reinstalling it from the App Store. One of my favorite things about this tweak is how it’s built directly into iOS’ native storage settings, which makes it feel more like a stock feature shipped by Apple. 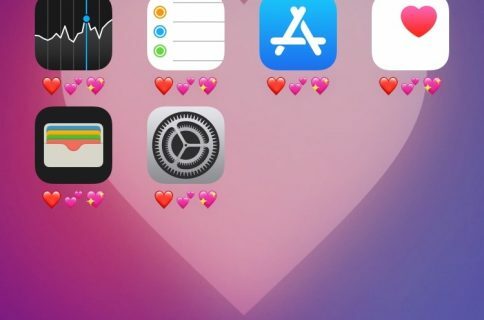 It’s also very utilitarian, so if you’re newly jailbroken and looking for something useful to install, then look no further. If you’re interested in trying CacheClearer (iOS 11), then you can download it for free from Julio Verne’s beta repository in Cydia. 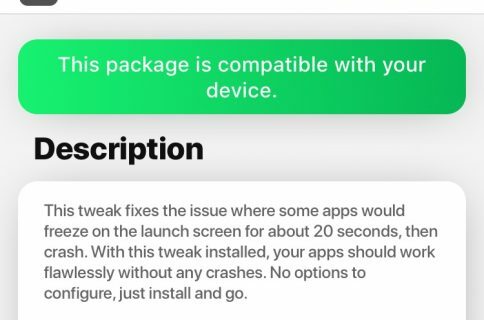 The tweak is compatible with all jailbroken iOS 11 devices and is open source on the developer’s GitHub repository. 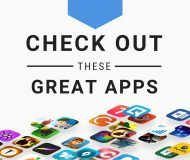 What are your thoughts about being able to clear an app’s cache on demand? Let us know in the comments section below.